Even though most of us have grown tired of the constant campaign news and ads for this candidate and policy or that proposition, this year’s election will be here before we know it. And there are plenty of ballots across the county this year with pot related laws for voters to consider. 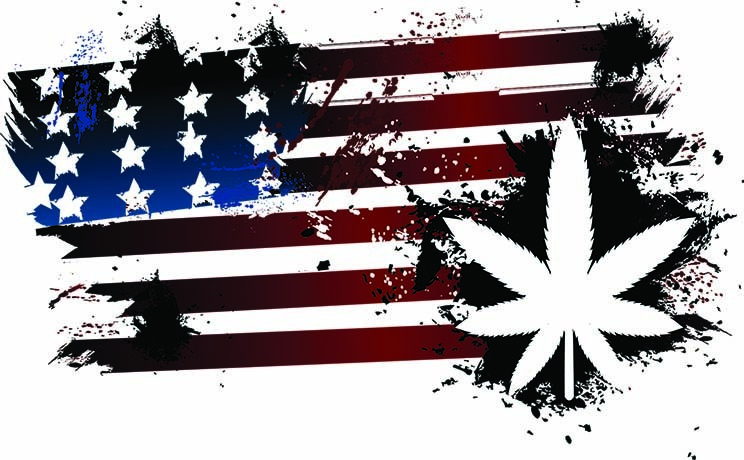 Here are the states to watch to see if new marijuana laws make it to the books. This November, we may see recreational initiatives on the ballots for California, Arizona, Maine, Massachusetts, and Nevada. Aside from California being the first state to legalize medical marijuana way back in 1996, analyists consider the California measure to be one with the largest impact. Not because of population, but because of coastline. If recreational marijuana is legalized in California, then the entire west coast of the U.S. will have legalized weed. This could ultimately be a huge catalyst for changing marijuana laws nationally as well as on a federal level. Meanwhile, Nevada’s marijuana initiative has waited patiently for a vote since 2014 giving proponents plenty of time to get their message out and is expected to pass. With 25 states and D.C. already allowing medical marijuana consumption, we’ve got a potential for at least four more states lining up to see if they will follow suit or not. Arkansas, Florida, North Dakota and Montana ballots may include medical marijuana initiatives. Florida has voted on a medical marijuana initiative before that narrowly failed to pass by just 2.4 percent of the 60 percent requirement. If passed this year, people who suffer from HIV/AIDS, multiple sclerosis, Crohn’s disease, epilepsy and PTSD could seek approval for medical marijuana treatment from a physician licensed in the state. Montana looks to expand its current medical marijuana laws with new marijuana laws to allow more legal access to medical marijuana. Current laws only allow certified physicians to treat three patients each with medical marijuana. Michigan, Missouri, Oklahoma, and Montana ballots may include initiatives specific to the use of TBD. Montana’s includes an initiative that if passed would reverse the legalized use of medical marijuana in the state period. If passed, this would be the first time where a state has decided to do an about-face about medical marijuana laws. While there are other initiatives anticipated to appear on the Montana ballot expending the use of marijuana, this re-criminalizing of medical marijuana (known as I-176) will be one to keep an eye on. As we get closer to the election, this list may change as petition signatures are confirmed or denied by each state’s Secretary of State offices. Regardless of actual outcomes, or if there are any new marijuana laws, it is clear that legalizing marijuana is on a lot people’s minds. Regardless of where individuals stand on marijuana, whether medical or recreational, it is clear that marijuana will continue to be a part of everyday life for many years to come. The momentum of the marijuana movement will not slow even when additional hurdles are encountered.